Global trading is expected to be slow on Monday, as the US markets will be closed for Memorial Day. Russian investors will remain watchful for any development in Europe during the week, as well as Friday’s employment report from the US. Russian investors will remain watchful for any development in Europe during the week, as well as Friday’s employment report from the US. Global trading is expected to be subdued on Monday, as the US markets will be closed for Memorial Day. However, at the end of the week, the country’s employment data for May is going to send strong signals to the markets. China will be another point of investor attention, as the country is set to release figures on manufacturing for May; a private survey last week pointed to continued weakness during the month. 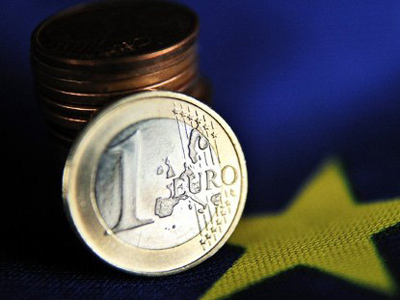 Concerns over the situation in the euro zone kept on weighing on the markets, after almost no practical steps were agreed upon during last week’s EU summit in Brussels. In any event, surveys over the weekend have shown that the Greeks, while angry after more than two years of austerity measures responsible for cuts in salaries, pensions, and new taxes increases would still prefer to keep the euro currency and not revert back to the drachma.Still, the May election results were so splintered that it left the country without a coalition government. Another election has been set for June 17. 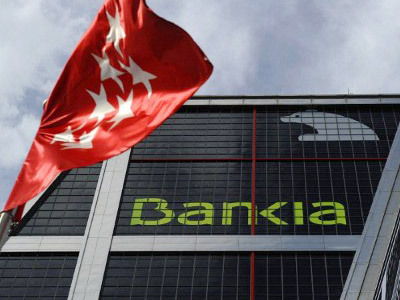 Spanish banks started ringing louder alarm bells, as Bankia (one of the country’s largest banks) officially asked for €19 billion in state aid, giving the government a majority stake in return. Both the RTS and the MICEX finished trading last week in the red. 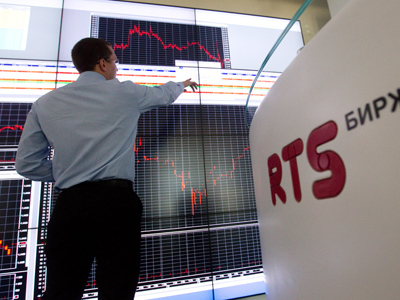 The RTS closed 0.02% lower, at 1,272.38, with the MICEX losing 0.22% to stop at 1,281.60. European stocks ended modestly higher. The DAX in Germany and France's CAC 40 both rose 0.4%, while Britain's FTSE 100 was little changed. In the US, the Dow Jones industrial average fell 0.6%, to 12,455. 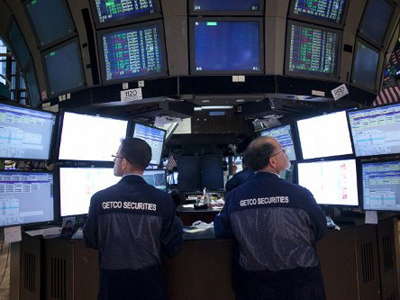 The S&P 500 fell 0.2% to stand at 1,318, with the Nasdaq falling 0.1%, to 2,837. Despite the weak Friday, stocks scored their first positive week in four. The Dow gained 0.7% to climb to 12,454, and the S&P 500 was up 1.7% to 1,317. The Nasdaq gained 2.1% to reach 2,837. Asian stock markets were muted Monday. After a higher opening, Japan's Nikkei 225 index fell marginally to 8,579.03.Hong Kong's Hang Seng was down less than 0.1% to 18,703.01. But Australia's S&P/ASX 200 rose 0.5% to 4,050.60 as traders scooped up bargains among resource shares that have recently underwent sell-offs.